In January of 2018, Tyler Hilinski, WSU quarterback, took his own life. 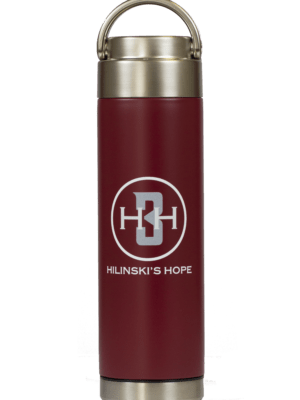 Proceeds from the special edition H3H Be Bottle will be donated to Hilinski’s Hope, a foundation that funds programs that provides student-athletes with the tools to support their mental health and wellness. Please note: Orders from the Hilinski Collection are pulled weekly. If choosing ground shipping, your shipment may take a few days longer. You will receive a shipment notification email with tracking information when your item is shipped.